Rebel, a sistership to Canyon Runner. After the crew sea trialed her in eight-footers, running her at 30 knots, it was convinced this hull would be the right offshore platform. For years my crew and I researched making the move into a custom North Carolina sportfisherman—research that was a lot more hands-on than most. You see, the crew of our boat, Canyon Runner, has owned a total of 37 boats, captained another 30, and fished on and delivered yet another 40. 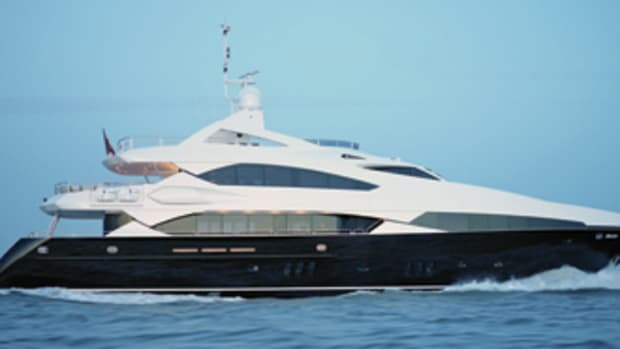 We have intimate knowledge of more than 100 different vessels and dozens of manufacturers, both custom and production. But in running all of those boats, none of us had been at the helm of a Ritchie Howell. That all changed when, after hearing about Howell, Canyon Runner&apos;s Capts. 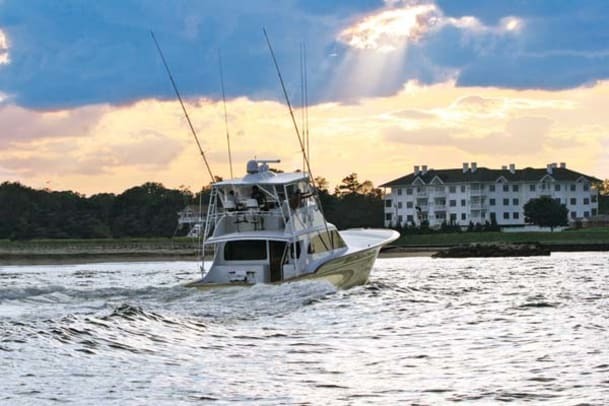 Phil Dulanie, Mark DeBlasio, and Joe LaRosa boarded Rebel, a 60-foot Ritchie Howell custom Carolina sportfisherman, and departed Virginia Beach in 35-knot northerly winds. Leaving the inlet, Rebel&apos;s captain turned her bow into the sea, pushed up the throttles until the vessel hit 30 knots, and headed for the first set of breaking eight- to ten-footers. Our crewmembers braced for impact, but as the boat hit that first wall of water, nothing happened. When the captains were back at the dock, they each called me. The exclamation was the same from all three: "That was the best-riding boat I&apos;ve ever been on!" We all agreed that Howell would build the next Canyon Runner. 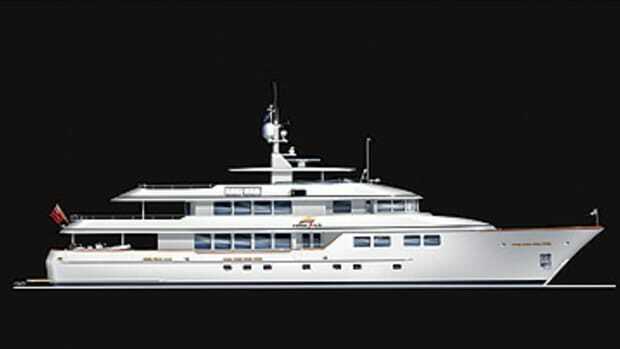 I immediately called him and ordered our new 60-footer, even though I hadn&apos;t actually sea-trialed the vessel. After putting down the deposit on our 60, we faced myriad decisions to ensure that she fulfilled our special requirements for offshore angling. That&apos;s one of the beauties—and one of the burdens—of going custom. In this two-part series, I&apos;ll give you a look into how our vessel was built and how our crew approached and dealt with the many issues involved during our build. Hopefully you&apos;ll enjoy riding along with us as we build our new Canyon Runner. 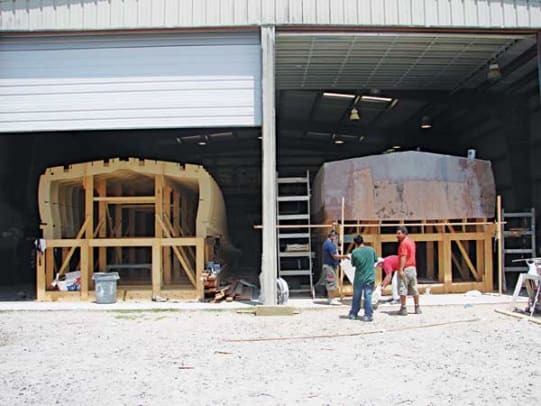 Howell, like many of the Carolina boatbuilders, builds a cold-molded hull. But unlike a lot of folks&apos; impression of custom Carolina yachts, his designs are not sketched out on the back of a napkin. 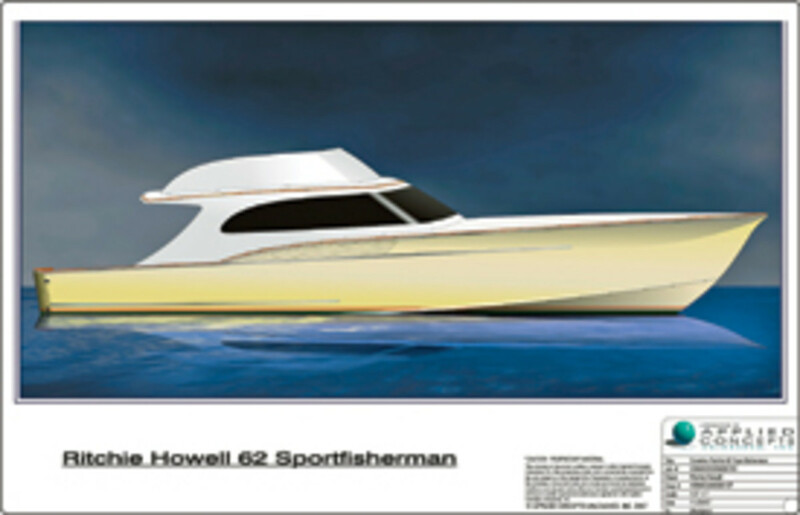 Instead, Howell looked to the renowned marine design firm Applied Concepts Unleashed to help draw up a hull for us that would provide a superior ride with comfort, speed, and excellent fishabilty (we are a charter operation, after all). 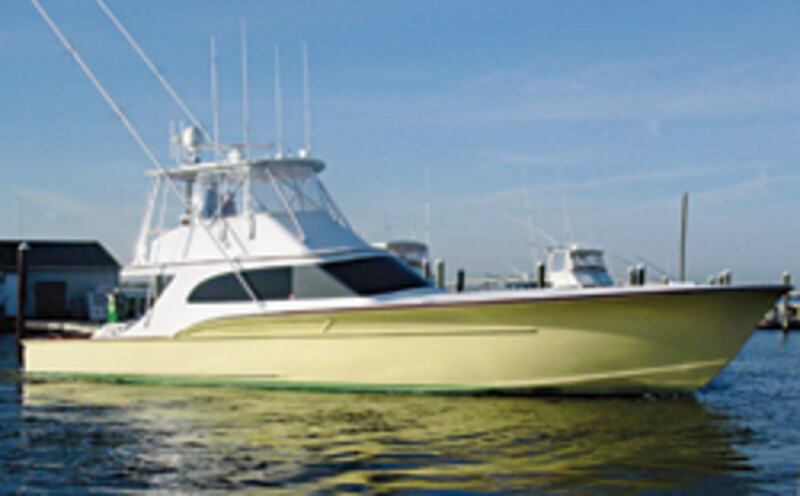 Applied Concepts&apos; 3-D computer modeling allowed us to fine-tune both the boat&apos;s look and performance before the build actually started. It also allows builders like Howell to reduce both cost and construction time. Howell and Applied Concepts spent a considerable amount of time on our design, making sure she&apos;d ride well in all conditions, be fuel efficient, and run fast. Tank testing gave us a handle on our boat&apos;s expected performance (about 38 knots at WOT). Studies on weight and its placement (referred to as loaded center of gravity, or LCG), confirmed Canyon Runner&apos;s potential. (Howell goes through this process for all his builds.) 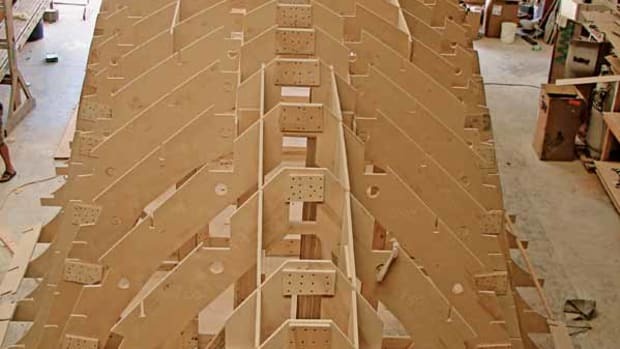 Once the hull was designed on the computer, the exact specifications were transferred to a CNC router that quickly and percisely cut the jig the boat was to be built from to tolerances of .001 of an inch, ensuring the final product will look and function exactly as designed. Every hull design has benefits and trade-offs. 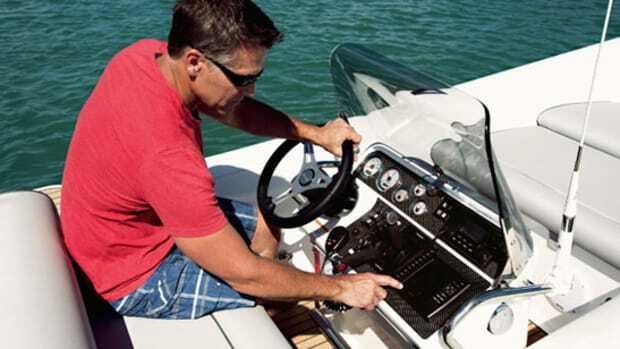 Do you want a better-riding boat or more interior space? 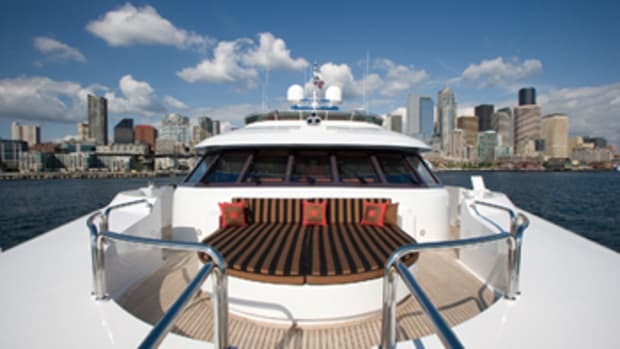 Do you want several small staterooms and heads or fewer large ones? 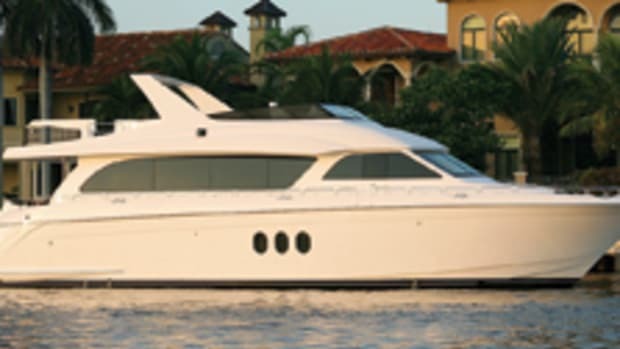 Moreover, each custom Carolina builder has a signature hull design, and choosing what you want inside basically steers you towards one or two of these builders over all others. But there are some aspects that each builder won&apos;t compromise on, and for Howell it&apos;s all-around ride. What we gave up in interior spaciousness by building a boat with a sharper entry we gained by being able to run 30 knots into tight eight-footers with zero pounding. For us it was a good trade. Since most of our trips are 80-plus miles offshore, we use a lot of fuel. That, coupled with diesel probably never being less than $2 a gallon again, was a major consideration in our engine selection. When you&apos;re a charter operation like we are, every gallon saved goes directly to the bottom line. Applied Concepts&apos; and Howell&apos;s analysis convinced us that 1,000-hp engines with sufficient torque would push Canyon Runner to cruise at 32 knots. That narrowed our search to only a few options, from which we chose Caterpillar C18s. Our decision was made easier because we already knew that Rebel has these engines and cruises at 32 knots while burning 60 gph. This is how she&apos;ll look when finished. Once the jig was designed and cut, Howell started to build Canyon Runner. Though there are different approaches to cold-molded construction, the basic process starts with those CNC-cut, wooden-framed jigs. Our vessel&apos;s hull, house, and bridge were each built on separate jigs with the hull constructed upside down. 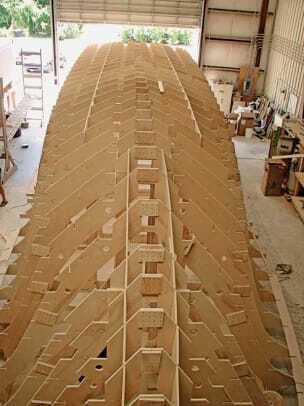 The basic process for Howell includes applying three layers of marine-grade okume plywood of varying thickness, one on top of the other in alternating directions. Each layer is glued and screwed together. The devil is in the details regarding cold-molding, but one of the most important differences is the number of plys. Some builders get away with two plywood layers to save costs. Howell uses three. Once the hull is completed on the jig, the whole thing is flipped. The jig is removed, and internal bulkheads are added. The engine room begins to take shape at this point; exhausts are mounted, and forward floors are installed. We believe owners and builders should take pride in the finish of the engine room, and Howell agrees. He wants ours to look as fine as the exterior and therefore refuses to compromise the appearance of the sole, walls, or overhead. Plumbing and electricals are installed neatly and precisely. The best part is that because we&apos;ve made so many visits to the factory, when our boat is complete, we&apos;ll know every inch, every hose, and every wire run. To date it&apos;s been fun, but as I write this, we still have huge decisions to make: Which electronics package? Which fishing amenities? What type of helm and fighting chairs? 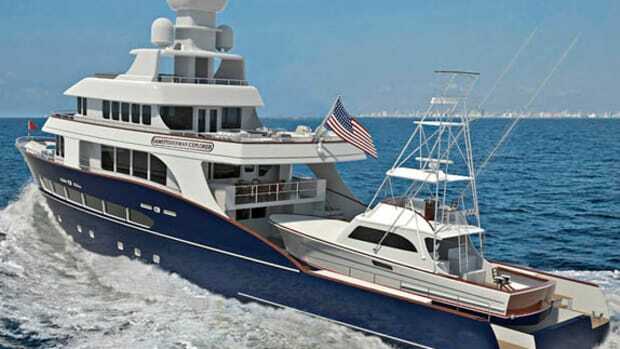 Plus there are wall coverings, furniture, countertop materials, mattresses, entertainment units, outriggers, rod holders, rocket launchers, and much more to be decided upon. There&apos;s no standard equipment list to work from here. These choices all have to work with both our personal taste and the fact that this will be a charter vessel. And we only have a few more weeks before everything needs to be set in stone. Being able to do this is both a blessing and a burden. But in the end, the burden will last only a few more months. We&apos;ll enjoy the benefits for years to come. 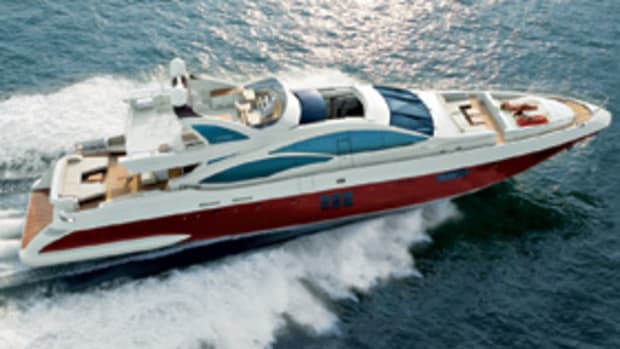 Canyon Runner should splash this summer; look for updates in the coming weeks and part two of this story in a fall issue of Power & Motoryacht.